This year's program offers more than 250 free online resources with the goal of increasing recycling rates at schools across the nation. As the 2018-19 school year kicks off for students and teachers across the country, every school that participates in PepsiCo’s Recycle Rally program has different goals when it comes to recycling. Some schools are focused on making Recycle Rally an educational and developmental experience for the students. Others integrate the program into a broader environmental sustainability program at the school. Some want to take advantage of the rewards to support their needs for school supplies or other programs, and many schools just want to increase recycling because they are disappointed every time they see recyclables being unnecessarily added to landfills. That’s all according to Tom Mooradian, manager of environmental sustainability at PepsiCo. Recycle Rally began in 2010 as part of PepsiCo’s Performance with Purpose initiative, which aims to not just drive value for shareholders but also to leave a positive imprint on both society and the environment. One of the company’s key environmental goals is to help increase the national recycling rate for beverage containers. Recycle Rally is a key part of PepsiCo Recycling’s effort to significantly increase the national recycling rate for plastic and aluminum beverage containers. PepsiCo Recycling partners with organizations like Closed Loop Fund and The Recycling Partnership to help improve infrastructure and make recycling more convenient throughout the U.S. This year’s program offers more than 250 free online resources to students, faculty and staff with the goal of increasing recycling rates at schools across the nation. Recycle Rally offers schools the opportunity to set recycling goals, track progress toward those goals, earn rewards and compete in contests for cash prizes. Participating schools earn a reward point for each (estimated) bottle or can that they recycle (based on their responses to a few questions on the company’s website that allow PepsiCo to calculate their estimated recycling totals). Those reward points can be redeemed for supplies or gift cards to help the school. Recycle Rally also hosts contests and promotions that offer opportunities to win additional prizes for encouraging and increasing recycling. Additionally, winners of the Recycle Rally contests may be awarded large cash prizes, ranging up to the $50,000 grand prize, for their recycling efforts. For those who are just starting to recycle, PepsiCo offers guidelines to help them assess their options and know what types of questions to ask when setting up the capability to recycle. The program also provides tools to help participants understand best practices for setting up their recycling bins and communicating to boost awareness. For those who are more advanced and want to take their recycling to the highest levels, they can strive to earn Gold or Platinum status by completing a series of tasks through PepsiCo’s new Recycling Advancement Plan. They can conduct recycling competitions within their school or compare their school’s recycling performance versus other schools on leaderboards, and they can compete for big cash prizes as they vie for a place in the top 25. Participants can also access the program’s new Impact Tracker, which allows them to earn digital badges that translate their recycling totals into fun, recognizable terms. 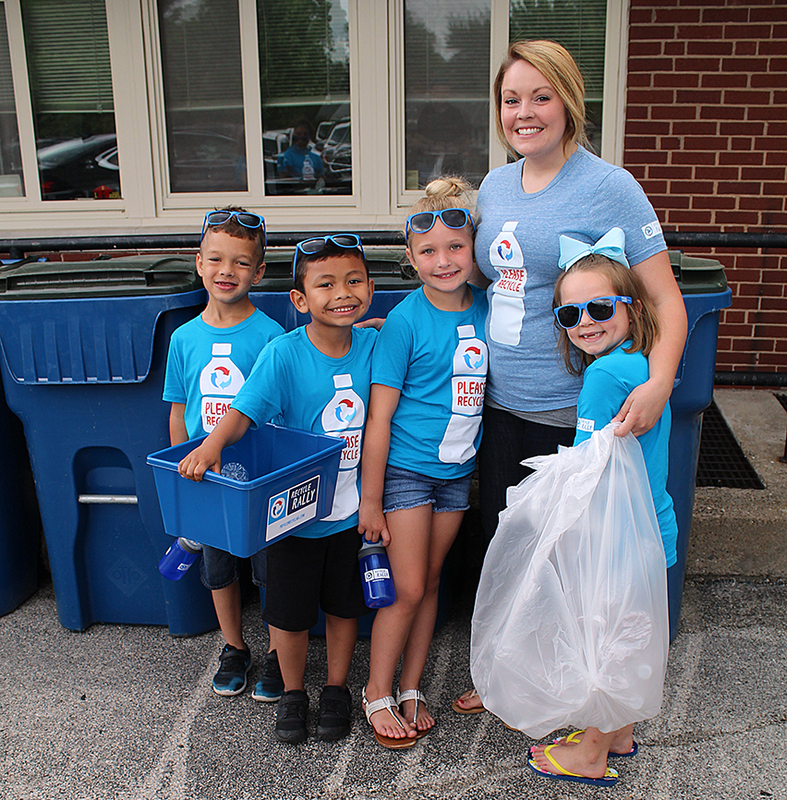 Through Recycle Rally, PepsiCo Recycling has partnered with more than 4,000 schools.